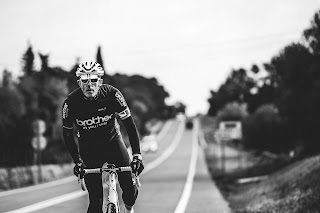 Phil Jones MBE, the Managing Director of Brother UK, will ride the entire route of the 2018 OVO EnergyTour of Britain in September, one day ahead of the elite professional riders who will tackle the same demanding eight-stage course. Jones, 49, will ride with cancer survivor James Golding, the world record holder for the greatest distance ridden in seven days, in pursuit of an ambitious fundraising target of £50,000 for the Dave Rayner Fund, a voluntary organisation that supports young British riders racing abroad. 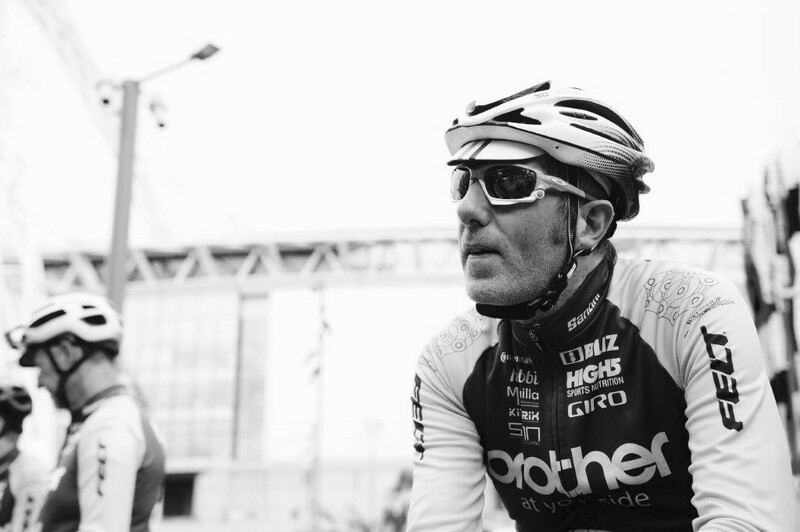 Under Jones’ leadership, Brother UK has become the most influential supporter of grassroots British cycle sport, providing consistent, committed support in a range of areas for the last seven years. It now helps seven development teams, as well as sponsoring some of Britain’s biggest races and funding a fleet of neutral service support vehicles. Both Jones and Brother UK turn 50 this year, and attempting to raise £50,000 for a fund that has allowed some of the most successful British riders of the last 30 years to pursue their dream of turning professional will add to the technology giant’s impressive commitment to the sport. “Turning 50 in 2018 made me think about doing something big in terms of a physical challenge,while also raising awareness for the excellent work of the Dave Rayner Fund,” Jones explained. The Tour of Britain, which has a history stretching back to the post war years, has grown in popularity each year since race organiser SweetSpot re-launched the event in 2004. 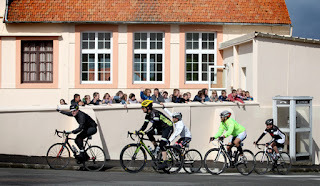 Its position on the calendar attracts some of the biggest names in the peloton, who use the race as final preparation for the annual World Road Race Championships. A race that even elite professionals regard as demanding will offer Jones and Golding the ultimate challenge. The OVO Energy Tour of Britain is Britain’s premier multi-stage race, unfolding over eight days. The 2018 parcours is particularly challenging, with a hilly route through some of the country’s most iconic landscapes. Previous British winners of the race include former Tour de France winner Bradley Wiggins (2013), and the reigning British road and time-trial champion, Steve Cummings (2016). One of the vehicles from Brother UK’s neutral service fleet, commissioned by Brother for use in British professional races, will follow the pair in support. Phil Jones’ ‘One Day Ahead’ challenge will start In Carmanthenshire on Saturday September 1, 2018,and finish in London on Sunday September 9, 2018, the same day as the race (allowing for a rest day). News has broken today that I’ll be riding the 2018 Tour of Britain one day ahead of the official race. With the ambitious goal to raise a large sum of money (£50K+) for the Dave Rayner Fund, who financially support promising young bike riders to race in Belgium and gain critical experience on their journey to one day become professional, it'll be the toughest thing I've ever done. I’ll be joined on the ride by 7 day world record holder - James Golding - someone who I have been fortunate to get to know well through cycling. James is an inspiring character who I’ll be delighted to have at my side. I’m turning 50 this year and wanted a BHAG to aim for (Big Hairy Audacious Goal). It will be the 10 year anniversary of my getting back into road cycling after a break of more than 20 years. The company that I run (Brother UK) also celebrates its 50th anniversary this year. To raise money for the Dave Rayner Fund to give the opportunity for more promising young riders to race in Belgium as part of their development. Big Goal - £50K. Extraordinary people can do extraordinary things. James is the perfect example of this. Fighting back from cancer and given a 5% chance of survival, he went on from great adversity to compete in many major cycling challenges and then ultimately went on to secure the 7 day distance world record (1766.2 miles). My first long ride in 2008 was Manchester to Liverpool. Back then, that was a big distance (30 miles). Today that would be a short training ride, so it’s surprising where you can end up. By taking that first step or first ride, you’ll be surprised where it can lead you. Cycling is great for your overall wellbeing - physical and mental. In 2008, I was overweight, sedentary and fast heading towards 18 stones in weight (114kg). My job is pressurised with a lot of responsibility and my weight was spiraling. Riding a bike has seen my weight drop dramatically (now 85kg), my cardiac fitness improve dramatically and - as importantly - cycling has been an outlet for creative thinking, de-stressing and my overall mental health. I’d like other people of all ages to hear that message and maybe swing their leg over a saddle again, it’s never too late (or too early). In particular, I want to highlight that men need to ‘speak up, not man up’ if they are struggling to cope with their own mental health and that cycling is a great preventer/release mechanism for stress. Fulfilling the potential of promising young racers. As a sponsor in the UK domestic racing scene, you can see how much it depends on volunteers and goodwill (like many sports). All the main money is pointed towards the ‘medal factory’ and if you are not on the elite programmes then it can be very difficult to reach your potential. For me that means many young people may not fulfill their true capabilty as an elite road cyclist and The Dave Rayner Fund addresses part of that gap. The fund has already contributed to the careers of many elite cyclists including Dan Martin (UAE Emirates), David Millar (Retired), Hannah Barnes (Canyon SRAM), Geraint Thomas (Sky), Nikki Brammeier (Former World CX Champion), Tao Geoghan-Hart (Sky), Owain Doull (Sky) and Matt Brammeier (Aqua Blue). Help me to raise some money through your own fundraising initiatives and donate via the Dave Rayner website. Crack On. Do a challenge. Push that perimeter. Can you help with costs as a sponsor? Get in touch. Can you help en route? If you are a sports therapist for example, would you be prepared to come and give us a treatment? Would you like to join a leg? Each day we will aim to do something interesting and will invite up to four people to join us in exchange for a donation. Keep an eye on social media. Would you like to do our social media for us during the week? It is a fundraiser, so if you fancy eight days of hard work and long hours for no reward, step up! Are you a hotel in one of the start towns? Would you be prepared to donate us three rooms and we'll shine a light on you? Can you donate a super auction item for us to help raise funds? 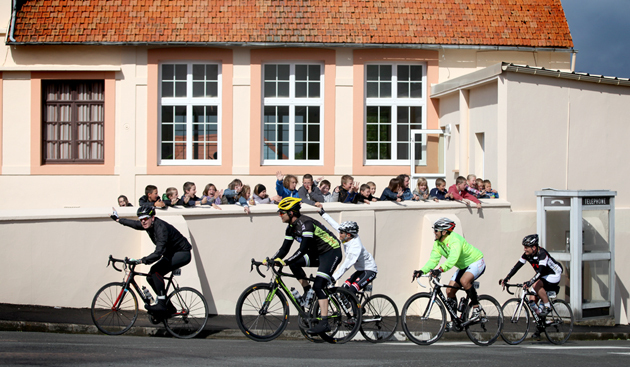 We plan to run a series of auctions and other events in the run up to the Tour of Britain. Be the difference. Take an action on any if the items 1-9. One thing I have learned is that the UK cycling community is fantastic and look after their own. Let's give these promising young racers the start they need and let's see if we can get them to a full career in the sport of cycling. Main Sponsor - TBA (Available for £2,500). 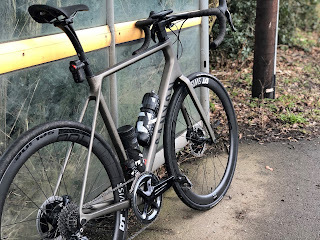 Having that opportunity recently, the good people at Canyon UK sent me one of their top bikes, the Canyon Endurance CF SLX for review. Having covered 50,000 or so miles on the road now, I'm getting a good feel for attributes of bikes and practicalities in day to day use. The bike arrives well packed and is really easy to set-up. There is plenty of protective packaging all you have to do is install the bars and the front wheel in reality. All in all, it took me about thirty minutes to get the position dialled with seat height, saddle fore/aft, bar height etc. Bike was delivered by UPS, everything needed to set it up is in the box. Once built, I couldn't wait to get out on it to see how a six grand bike performs on the road. By most peoples budget this would be a well considered purchase and not only does it need to look the business but also perform to a very high standard. The Endurance CF SLX has a more relaxed position suitable for long days in the saddle, sportives, and multi-day events. I have a dodgy disc in my lower back, so always ride with some stack on the stem. I was able to set the Endurance CF SLX almost spot on with my bike fit measurements leading to a really good position which was comfortable but also quick. It would be the bike I'd choose out of the range for that reason. One question that you might ask yourself is - What’s the difference between the Endurance CF SLX and the Canyon Aeroad? Having ridden an Aeroad from Chester to Cardiff last year, I can answer that, it all lies in the geometry. The Aeroad has a more aggressive geometry allowing you to get a lower position in the cockpit, ideal for racing. You’ll see Continental team Canyon Eisberg racing them in 2018. So, if you’re someone that likes an aero position when you ride, then it’s also a rather good bike. The test bike was built with a top spec including full Dura-Ace Di2 electronic groupset, DT Swiss ERC 1400 wheels (21mm profile), coming in at £5,899 including VAT. (Delivery is £32.99 on top of the bike cost when you order, plus the bikebguard box at £14.99 so the overall bike cost is £5,946.98). Colour was Aero Titanium, which was very distinctive and invited a lot of comment on the road. The electronic groupset was sublime with effortless gear changes achieved with a tap of your fingers, trimming being done electronically. Full build details can be found on the Canyon website here. Riding the bike, the one characteristic that really stood out for me was how quick it was to pick up speed. At 6.9kg in weight, power just went straight through to the road and you are hurtling along before you know it. With those characteristics climbing was a joy, easy to find a rhythm and push up anything. It’s a quick bike and really well balanced at the front. Descending, it was predictable which is always reassuring. Cornering was grippy on the Continental GP4000 28mm rubber which also soaked up the vibration from the road. Braking was sharp in all weather conditions with the Dura-Ace disc brakes. So seems disc brakes will likely become more common on the road in the future. Asking a similar question about groupset choice in another survey (1200 respondents) 69% indicated Shimano as their preferred groupset, so a Shimano Dura-Ace Di2 disc brake seems a pretty good bet if you're buying a bike. Having covered a few hundred miles on the Endurance CF SLX, I can honestly say it was a joy to ride in any conditions. With the road camber in the UK being in such poor condition, the wide tyres were very forgiving whilst also have the credentials to ride quickly. Continental GP4000 is a tyre set I've used on my other bikes for some years, they roll well. Bike comes 95% built, is easy to set-up. 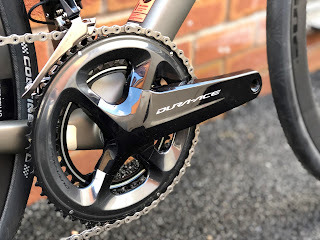 Dura-Ace Di2 groupset was absolutely on-point. 28mm tyres make the ride very comfortable for UK roads. Comfortable geometry make the bike suitable for short fast rides aswell as long days. Bike very easy to clean with wide apertures in the frame. 30 day exchange period on bikes. 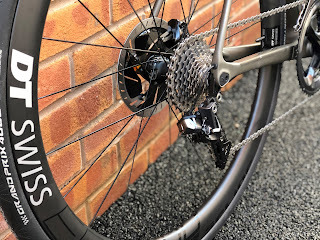 Deep section wheels can catch the wind on blowy days, I'd likely buy an additional front wheel for those moments with a shallower section to swap in/out. Personal preference only. 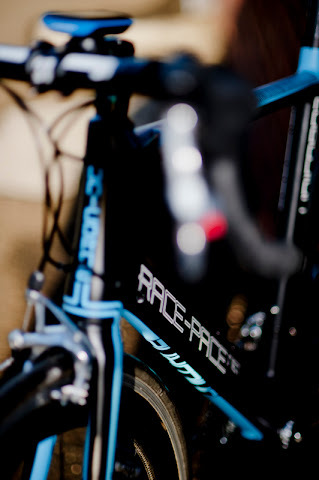 You'll need to know your measurements to order the right bike so it's worth taking a few minutes to use their perfect positioning utility on the website. Link here. You can use the livechat on their site or drop them an e-mail if any doubt. Standard Garmin mounts wont fit the bars, you'll need to buy one of the Canyon approved out front mounts. Handlebar position is fixed. If you find your set-up isn't spot on then Canyon offer a cockpit swap within the first 30 days and have different length and width options. If you want mudguards for the winter, you can add Raceblade temporary mudguards for around £35. Wiggle sell them. With the 28mm tyres, the bike can easily cope with the winter however I think this would be staying wrapped up warm and the winter hack would be taking the punishment. Ideal for riders who want a bike which can handle multiple scenarios from a Sunday spin to a multi-day event with a more relaxed geometry than an out and out road racing bike yet not compromising on top end performance, pick up and handling. 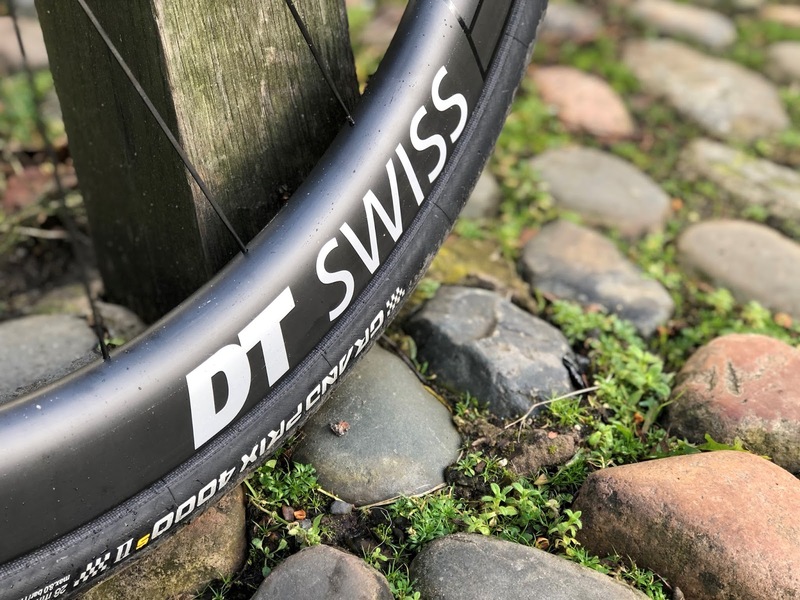 The 28mm tyres and big frame clearances mean the bike is ideal for all road conditions, handling well as a climber, descender or all day rouler. The bike is multi-dimensional, not a one trick pony. Dura-Ace Di2 is a stunning groupset, if you're spending this sort of money on a bike you may aswell go all out. 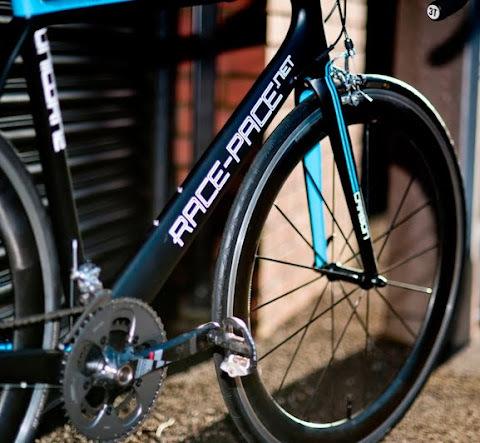 The Endurance range starts from £799 right up to £6,249 so there's a bike for everyone. If discs aren't for you, then you can spec/buy without them. See the website for details. Canyon are hosting a number of demo events around the UK between February and March if you want to take a look at the range or test pilot a bike. More information can be viewed here. Uprgrading my Wattbike Pro to a Wattbike Atom in October, a large number of people contacted me via social media to better understand the differences between the two products. Having owned a Wattbike Pro for three years with around 1000 hours of riding on it, I guess I know the product quite intimately and having done some hours on the Atom now, can better understand the reasons why you would or would not buy one and this initial article is to help anyone who may be thinking about which way to go. What's the difference between a Wattbike Pro and Wattbike Atom? Below I've highighted a few questions or considerations which may help you narrow things down. If you want to invest in a smart trainer which links with new on line riding applications like Zwift, then the answer is pretty straight forward, buy an Atom. 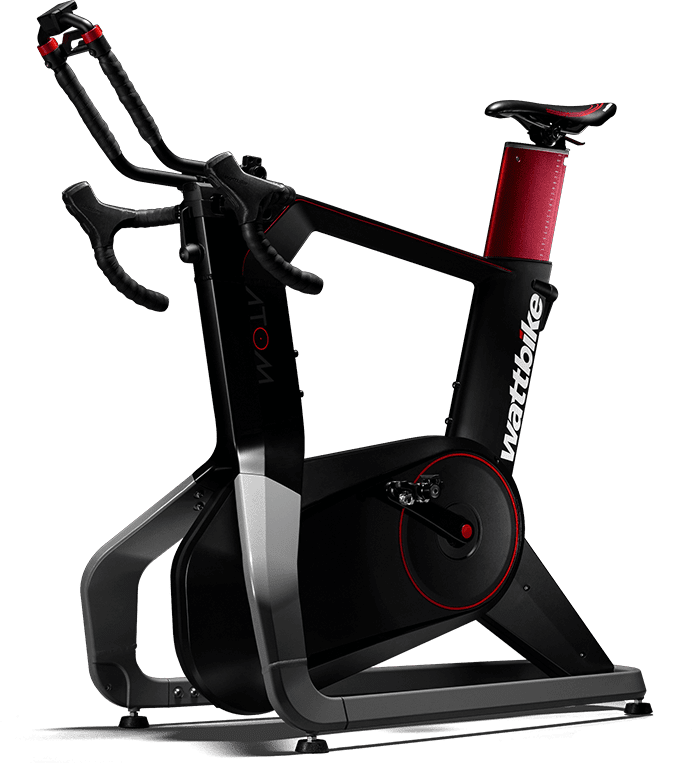 The Wattbike Pro doesn't connect to online virtual ride applications. The Atom when connected to Zwift can replicate hill climbs, road undulations and descents in your pedal resistance which makes indoor riding very engaging. You can log on, do an iconic hill climb, a rolling route, ride with a group of others or bash out a flat route riding around the streets or London. With the spate of poor weather, it offers a really viable alternative to a ride to jump onto Zwift and feel like you're riding with undulating cadence and power as you roll around different routes in the app. Sat on the bike the cockpit replicates a road bike with time trial extensions and a new holder fan iPad or device which you'll need for your screen (the Atom doesn't come with any screen, the Pro comes with a basic mono screen). If you are a pretty serious rider with prescribed power intervals or a specific training plan from a coach where your heart rates, power zones and general performance numbers need to be spot-on, then a Wattbike Pro really nails that well. When pedalling a Wattbike Pro, the pedal stroke sensation feels very similar to a bike. If you're not too bothered about joining Zwift and simply want to bash out internals, then the Pro is likely the product for you. The Wattbike Pro uses two ways to adjust resistance. A white lever on the left side which adjusts resistance against the air output of the bike and a magnetic resistance adjustment on the right. Power adjustment is almost instantaneous and it's very easy to find your sweet spots the more you ride the bike in terms of where you slide the left lever. 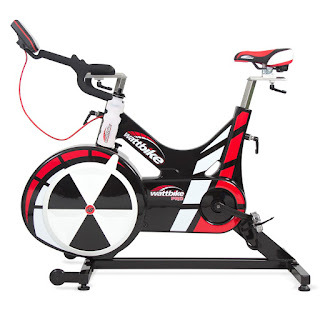 The Wattbike Atom uses firmware in the application to deliver magnetic resistance which is controlled by buttons on the right of the bars, similar to a road bike. One button sends the gear harder, the other makes it easier. One issue that the Atom has had is the early firmware editions were making the delay between clicking the button and the gear change around 3-4 seconds. We're used to riding on the road, clicking a button on a groupset and having an almost instantaneous movement of a derailleur (less than one second), so it does seem strange to click the button and then wait. I had a lot of discussion with the tech support desk at Wattbike as the power measurement also seemed out. Three firmware updates or so later, things are much improved. There still is a delay between clicking for a gear change and the change of gear (a couple of seconds) but the upsides of the interaction with Zwift etc outweigh this. You soon get used to it. Due to the issue described above, if you're doing specific HIIT intervals, sprints or bursts where you want to see your numbers, then the issue with the Atom gear change will prove frustrating for you in my opinion and you'll likely be better with a Pro. In my opinion, the Atom has a better fit and more options for adjusting the bike to your ideal riding position, particularly if you are replicating your road bike position. The cockpit looks more like a bike, with bars like road bars and tri-extensions with elbow rests. From a design point of view, it has a modern look/design. The Pro is built like a Tonka toy, fit for purpose for the many rugby players and sprinters that use the product to bash out big numbers. If you buy one, ditch the saddle it comes with straight away and put the same saddle you have on your road bike onto it. My beef always with the Pro was that the moulded bars didn't allow you to really get into any other position other than on the drops. Nevertheless, I happily rode for over a thousand hours on the Pro so it certainly is not a show stopper. The Wattbike Pro comes with a basic mono LCD display and I mean basic (think of a large 1980's digital watch). Still, it only really has one job to do which is to deliver your numbers which is does more than capably. Switching between screens is pretty easy and data is instantaneous. The screen has no backlight so if you're training in a place where the light is poor, then you can find yourself adjusting the screen angle a fair bit. The Wattbike Atom relies on you using a device of some kind, smartphone or iPad for example, with the latest Wattbike app. This sits in a holder on the tri-bar extensions and is in full colour obviously. There are a number of pre-installed workouts in the app for you to do. Both screens deliver the now legendary Wattbike pedal stroke efficiency data alongside the other information you'll need to train. One thing I have noticed is that the Atom only shows speed data in KM/H, not MPH for UK users. If you use a Garmin to capture your ride data and want to use it with either product then my experience thus far is that the Wattbike Pro nails it, does the job and captures everything. What you see on the Wattbike is what ultimately end up on your Garmin (there are some variances but didn't plan for this article to be technical). I've experienced a number of issues with the Ant+ protocol not working too well with Garmin via the Atom. In the early firmware updates, speed was permanently being recorded as 18.6mph on the Garmin, the second update reset that to 170mph, which meant nothing was being recorded correctly in Garmin connect where I upload my ride data too. 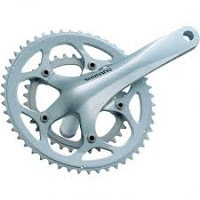 Knowing my power numbers intimately having being doing intervals for over eighteen months, all my numbers seemed they were down 15-20% when switching to the Atom. More communication with the Wattbike tech desk and advice than firmware updates would resolve the issue. Chatting with another owner who attached his Garmin vector pedals to the Atom to validate his numbers highlighted that - in his opinion - the Atom was under recording his actual data. Wattbike have been improving the issue with firmware updates and whilst I don't think everything is fully resolved yet, progress is being made. If it's about Zwift and indoor riding then buy an Atom. The integration with Zwift is superb and if you are a social rider just wanting to put some miles in indoors using a social riding app, it's a great buy. The drawback of the product for me is the delayed gear change albeit it has been improving with each firmware update. At present it's improved a lot in three months and I'm sure will continue to be improved. Looks wise the Atom has it. If it's all about the intervals, buy the Pro. The Pro is like a muscle car, it does one job really well without any of the electronics used in many of the most sophisticated speed machines. It's built well, has a lovely feel on the pedal stroke and tells you what you need to know in real time. You can see more information on the Wattbike Atom here. From £1,499. You can see more information on the Wattbike Pro here. From £2,250. 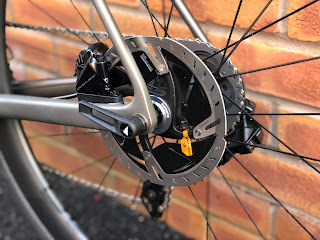 Having been road cycling for nine years now, from absolute novice turning the cranks for the first time in twenty years to riding around 400 hours a year, I've purchased a lot of products. Some have been poor, some to expectation and some outstanding. There is a such a wide variety of clothing, products and services to choose from it can be difficult to distinguish good from bad. Here's 15 products that I've used which I rate. Pocpac Phone Covers (waterproof case for your phone and money). Around £10. Link here. One Life ID - Emergency ID (wrist band in case of emergency when riding alone). From £22.99. Link here. Veloforte Natural Energy Bars (so tasty, natural ingredients) - £6.99 for a pack of 3. Link here. SRAM Out Front Garmin Mount (makes your Garmin easier to view when riding). Around £13.00. Link here. Veloskin Products - (Moisturiser, Soothing Gel, Post-Shave Lotion, Chamois Cream). From £12.00. Link here. Condor Pro Socks - (Simply the best, been wearing these for years now. Super comfortable). £14.99 for a pack of two. Link here. DeFeet Oversocks (Ideal for those days when it's a bit cooler and there may be some road debris which might risk marking your shiny white shoes. These just slip over your shoes and keep everything looking smart and your feet with an extra layer of insulation if needed). Around £13.00. Link here. Continental Four Seasons Tyres (best all round, all weather tyre). From £31.99 each. Link here. Rapha Deep Winter Training Hat - (Warm winter wear for under your helmet when it's cold out there). £60. Link here. Oakley Jawbreaker Prizm Glasses. (Best glasses I've owned. Comfortable with lenses which adapt to the light conditions. Worn by lots of the pro's). Around £165.00. Link here. Le Col Pro B5 Winter Jacket Arancia. (All you'll need on those cold, wet days. Fantastic design, highly visible and warm). £250.00. Link here. Pianni Hand Built Wheels by Pete Matthews (Legendary wheel builder. Got a set of bomb proof, 32 spoke winter hoops for around £400. Wheels are built to your order, specification taking into account your weight, style of riding etc. Not the lightest but built for anything). Link here. Campagnolo Zonda Wheels. Phenomenal performance when you want to ride fast. Around £315. Link here. Pro Tools Cycleworks 50mm carbon deep section wheels (Built on DT Swiss Hubs with Sapim spokes, these wheels are super light and quick. Ideal for triathlon, Ironman, TT'ing or just going fast). 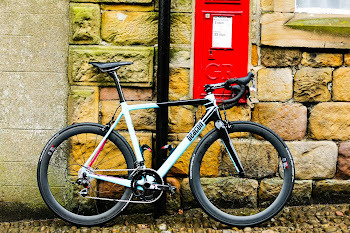 Around £1300 from Beacon Bikes in Clitheroe.